Individual factors associated with HIV testing have been studied across multiple populations; however, testing is not just an individual-level phenomenon. This secondary analysis of 2005 and 2011 Ethiopia Demographic and Health Survey data was conducted to determine the extent to which the 2007 institution of an opt-out policy of HIV testing during antenatal care increased testing among women, and whether effects differed by women’s stigmatizing beliefs about HIV. A logit model with interaction between pre-/post-policy year and policy exposure (birth in the past year) was used to estimate the increased probability of past-year testing, which may be attributable to the policy. Results suggested the policy contributed to a nine-point increase in the probability of testing (95% CI 0.06–0.13, p < 0.0001). A three-way interaction was used to compare the effects of exposure to the policy among women holding higher and lower HIV stigmatizing beliefs. 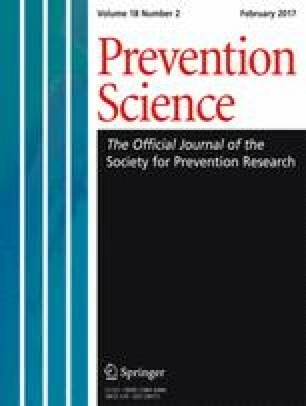 The increase in the probability of past-year testing was 16 percentage points greater among women with lower stigmatizing beliefs (95% CI 0.06–0.27, p = 0.002). Women with higher stigmatizing beliefs were less likely to report attending antenatal care (ANC), testing at their last ANC visit, or being offered a test at their last ANC visit. We encourage researchers and practitioners to explore interventions that operate at multiple levels of socio-ecological spheres of influence, addressing both stigma and structural barriers to testing, in order to achieve the greatest results in preventing HIV. None of the authors received funding to conduct this secondary analysis. This article does not contain any studies with human participants or animals performed by any of the authors. It is a secondary analysis of publicly available, de-identified data. For this type of study, formal consent is not required; presumably, it was obtained by the organization collecting the original data.